For over 100 years, Trane has led the heating and air conditioning industry. 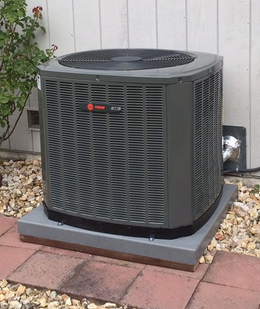 Homeowners know that the Trane name stands for reliability, innovation, and quality. Our commitment to being #1 shows in the products we design, the programs we offer, and the dealers we select to represent our brand. Here are five reasons to consider Trane. Will not crack, rust, or corrode; color will not fade. Learn more. We designed it to carry an 800lb. gorilla. 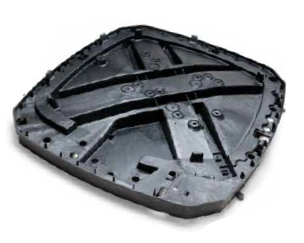 What makes the polymer base pan an important first? 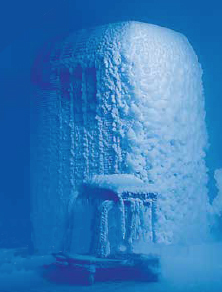 Well, perhaps because it can withstand an 800-pound load and our 135 degree, 20-year accelerated heat test. It won’t crack, warp, corrode, or rust and its molded-in color will not fade, ever. Leak and corrosion resistant and resistant to outdoor galvanic and crevice corrosion. Leak rate of .05% out of 12 million coils tested. Learn more. The outdoor environment is unrelenting, with dramatic swings in temperature, precipitation, wind and humidity. Near the ocean, the air contains salt-laden moisture. In and around cities, the atmosphere contains oxides of sulfur and nitrogen, acid and alkaline dust and gases. Most of the other guys' coils can’t stand up to these powerful corrosive forces. However, the carefully selected aluminum alloys in Spine Fin™ provides protection from even the harshest outdoor environments. After 100 years, It’s still Hard To Stop A Trane. Trane has led the industry in reliability and durability since 1938. ONLY THE STRONG SURVIVE! Learn more. Some units endure over 2,600 hours on continuous testing. 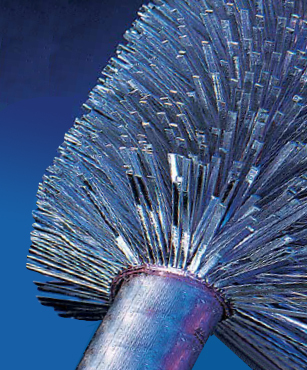 By putting our heating and cooling units through an equivalent of five years’ worth of wear and tear in a matter of a few months, we reinforce our philosophy of making products you can rely on for years and years. "It's Hard To Stop A Trane" isn’t just a tag line…it’s been proven. 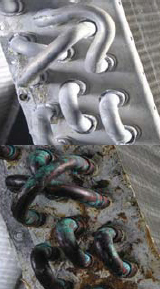 Resist corrosion from all typical sources of corrosion. Went through 500 hours of salt-spray testing. Learn more. Trane's all-aluminum indoor evaporator coils are revolutionary in an industry tied to copper. Aluminum means longer life leading to resistance to corrosion. An independent, third-party test in a laboratory environment proved that aluminum coils are resistant to formicary corrosion while copper tubed coils are not. Rust resistant screws. Creates a near permanent bond between the steel and the paint. Learn more. Zinc coated fasteners resist corrosion and keep rust from discoloring your XR air conditioner. While baked-on powder paint provides a finish that is virtually indestructible even if metal gets dented. Maximum corrosion and rust resistant attractively blends with any architectural style and outdoor landscape. For additional Trane products and information please click here.